Here’s what I do: These are my buffalo chicken empanadas. Simply mix some shredded rotisserie chicken with cream cheese, mozzarella, buffalo sauce and stuff them into these empanada discs. But instead of ordinary frying I’m going to use the Airfryer XXL by Philips - it uses powerful hot air to fry, roast, grill and bake your favorite food with a tablespoon or less of oil. The Twin TurboStar technology removes excess fat from your favorite recipes resulting in crispy, tender and tastier foods without all the grease. Airfry an entire chicken or even 2 whole bags of French fries. Click here to learn more! You can’t have a party without sliders. You’ve probably heard of Cuban Sandwiches but how about Cuban Sandwich sliders? Take a package of sweet rolls, add butter and mayo, then some Swiss cheese and ham. In fact, today I’m using a Kentucky Legend Quarter Sliced Ham. They’re handcrafted, double smoked, with only natural juices. It’s truly convenient because it comes pre-sliced and ready to eat hot or cold so it is easy to add to your favorite recipes. Then after your sliders are made, put any leftover in my ham, spinach and artichoke dip. Serve them with chips! 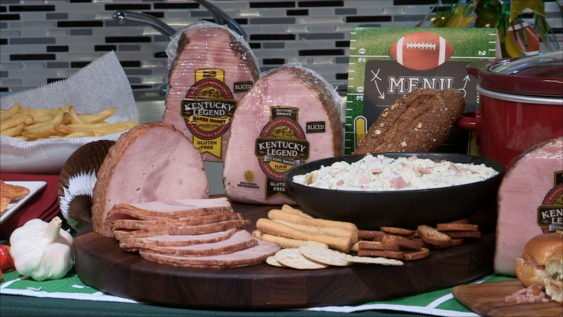 Find the recipe for this delicious ham, spinach and artichoke dip and others on the Kentucky Legend website here. Find more info about the quarter sliced ham, turkey, and more here. Speaking of chips did you know that according to a Frito-Lay US Snack Index poll, people plan to keep it easy and simple this year. 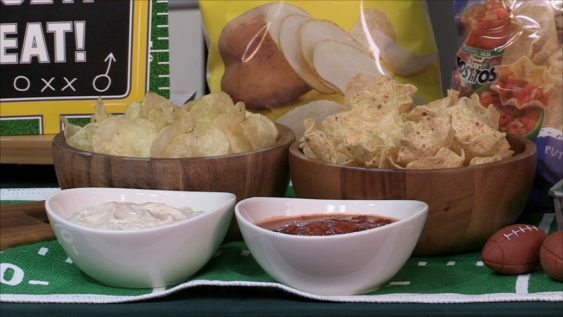 In fact over 80 percent plan to have potato chips or tortilla chips during the Super Bowl! Also, nearly half of Gen Z and millennials selected cheesy snacks as a top pick but spicy snacks fared pretty high too. 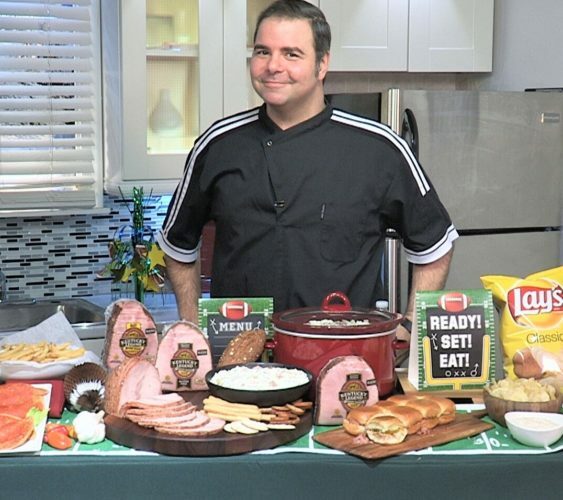 Regardless, 9 out of 10 fans intend to have at least some kind of snack at their big game celebration. Click here to learn more! Now that your snacks have come to life, wait til you see how the Big Game comes to THRILLING life on this LG OLED TV. 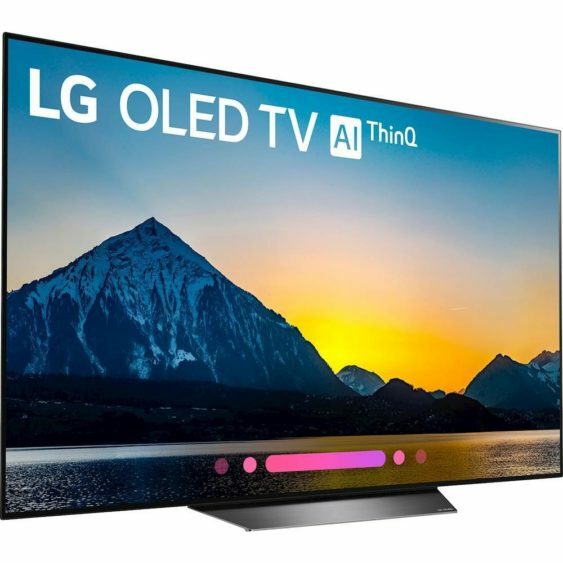 These guys are bringing back Black Friday pricing for the upcoming sporting events and their 55 inch B8 series is now available for under $1500. The 65-inch- under $2300. That’s the lowest pricing ever for LG OLED TVs in these screen sizes. Watch sports, movies your favorite celebrity chef with the perfect black levels and intense color. That means greater detail in darker areas and no light bleed with each one of the 8 million-plus pixels. Click here to learn more. Preheat your Philips Air Fryer to 375F. Mix first four ingredients in a medium bowl and begin assembling empanadas. Remove each dough disk and add about 2-3 spoonful of chicken mixture in the center of each dough. Fold in half and pinch or press edges. Use a fork to form a tight seal. Whisk egg white and water to make an egg wash and brush on top of each emapanada. Spray non-stick spray in your air fryer basket and work in batches to air fry the empanadas until golden brown and crispy. Serve with blue cheese dressing if desired. You can also make this dish in advance before baking it by wrapping the pan with plastic wrap and refrigerating it for up to 2 days in advance. Then remove the plastic wrap and bake for 20-25 minutes.